« A DICKENS OF A HOLIDAY PARTY! Please join us for today’s service led by UUCP Co-Presidents, Deborah Singer Pires and Arlene Holpp Scala. Have you ever had a mystical experience that defied explanation? Many of us have. 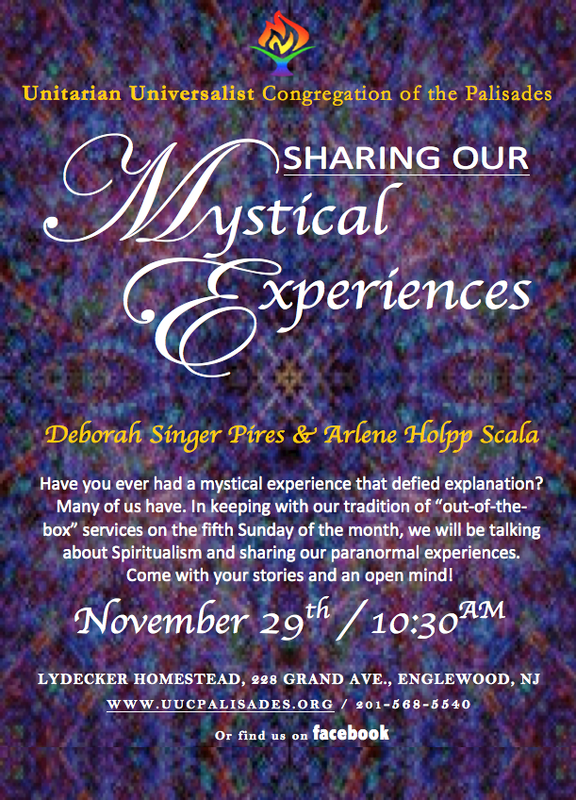 In keeping with our tradition of “out-of-the-box” services on the fifth Sunday of the month, we will be talking about Spiritualism and sharing our paranormal experiences. Come with your stories and an open mind! Bring a friend and stay for coffee and great conversation. We look forward to seeing you!